I really enjoyed the Oriens leading article “A Light Shining In The Darkness” (Autumn 1997). Too often “traditional” Catholics not only shy away from, but look askance at, “evangelical” Catholics. This is unfortunate as all Christians, and especially Catholic Christians, are called to preach the Gospel to the four corners of the earth by none other than Christ Himself. The Ecclesia Dei decree seems always under attack. A recent article in Sydney’s Catholic Weekly – “Why do we have old Latin Mass?” (17 September 1995) – is just the latest. In a sense, this recent sally is hardly news. It merely instances the disinformation campaign which has been waged against Ecclesia Dei since it was promulgated on 2 July 1988. Criticism, condescension, minimalist interpretations: these are the reactions one would expect such a document to evoke. Why? Because Ecclesia Dei calls into question the life-time labours of people who have worked hard to bury the Catholic past and to build a new Church on present-orientated foundations (and that, in a nutshell, is what aggiornamento means). Ecclesia Dei lets history of the bag which is the last thing that the advocates of a “modern church” want. They all know that anyone serious about living their religion – like anyone serious about doing anything well – instinctively looks to the past for models even if, in the end, they finish up doing something different. They all know that the Church of history is, even with all its disasters, an Aladdin’s Cave of inspirations. They are all acutely aware that in comparison, their “new church” is a grey world of jargon, conformism and tedium. They all know that to make this fatuous present stick – and to deprive others of a standard against which to judge it – they have to kill the past. So, we must accept it: Ecclesia Dei will be subject to continuing criticism and diminution in official church circles for some time to come. Bearing that in mind, we need to revise from time to time what Ecclesia Dei actually says so as not to be disheartened or deterred by propaganda to the contrary. that Ecclesia Dei was issued only to accommodate the “ecclesial unity” of people attached in some way to the movement of Archbishop Lefebvre. that Ecclesia Dei was issued only to cater for people who, because of their education in the former Latin liturgy, are still attached to it and (or) still have problems adjusting to the new one. that Ecclesia Dei was intended only for older people, certainly not for the young. 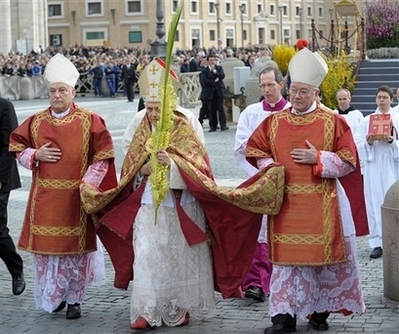 that Ecclesia Dei did not confer a “right” to the traditional liturgy, merely a concession. that Ecclesia Dei did not confer “official Church approval” of the traditional liturgy as an equally available rite. that Ecclesia Dei makes available the traditional Roman Rite of the Mass “only in exceptional cases”. that, properly understood, Ecclesia Dei is about promoting the use of Latin, as a language of Catholic unity, in the New Mass. The question is: Does the Ecclesia Dei decree provide any foundation for these positions?On page 4 we have published the main text of the decree. Now it is obvious that the basic spur to action behind Ecclesia Dei was provided by Archbishop Lefebvre. Furthermore, it is equally clear that the primary preoccupation of the document is with how to accommodate his followers. Hence the emphasis in the document on “facilitating ecclesial communion”. Given this focus, is it not reasonable to conclude that Ecclesia Dei was intended primarily for Lefebvrists? At first blush this interpretation appears to be sound. But on further investigation these initial impressions must give way to a wider view of the document. While there can be no objection to the claim that the Lefebvre problem represented the principle activating motive behind Ecclesia Dei, to argue that Lefebvre constituted the whole concern of the decree registers a blinkered view of the facts: facts about the document itself and, more importantly, facts about the Church at large. Now, it has been argued that the “all those” refers only to all those connected in some way with Archbishop Lefebvre and whose “ecclesial communion” the Pope wishes to facilitate. Perhaps. But then the document goes on to speak of measures to “guarantee respect for their rightful aspirations.” This is the most important phrase in Ecclesia Dei. It is the “rightful aspirations” which universalise the Decree.The reasoning behind this claim is compelling. If the desire to worship according to the Latin tradition is a “rightful aspiration” for a Lefebvrist, then it is equally a rightful aspiration for all other Latin Catholics as well. If Latin Catholics in general cannot have a “rightful aspiration” to retain their liturgical heritage – an absurd proposition, in any case – then particular Latin Catholics (including followers of Mgr Lefebvre) cannot have one either. What’s good for the goose, is good for the gander. Consequently, the address made by the Pontiff “To all those Catholic faithful…” takes on a wider dimension of significance. Rome was very much aware that there were Catholics throughout the western world – people not attracted to the Lefebvre movement – who cheered on May 5, 1988 when the Archbishop and Cardinal Ratzinger initialled a settlement of the long-running dispute. Rome also knew that these same people were filled with gloom when the Archbishop reneged on the May 5 agreement. The traditional Mass constituency was far wider than Lefebvre’s and Rome could not risk driving more Catholics into his camp by letting the opportunity slip. Thus Rome came to make the great, long delayed and ironical admission: that love for her own liturgical traditions did not disqualify one from being a faithful Catholic. of the 1984 Indult which already provided access – albeit under limited conditions – to the traditional Roman Rite of Mass.But is it not possible that too much significance is being given to this document? Was Rome really aware of a movement for integral Catholic tradition which extended far beyond the confines of the Lefebvre’s own family? Has one little word – “all” – been made to bear too heavy a burden of meaning? Certainly, some people have thought so. But that is usually because they overlook a second document. This is a “rescript”, or written order, given by the Pontiff in audience on 18 October 1988 and it defined the powers of the Pontifical Commission Ecclesia Dei. The text is referring to priests who apply for permission to use the traditional missal and the meaning is clear. The Commission is empowered to grant to any priest who requests it permission to use the traditional missal. There is no word here about old priests, or refugee Lefebvrist priests, or eccentric priests who cannot cope with change. The permission is there for any priest. All he need do is ask.The Commission also has other powers. 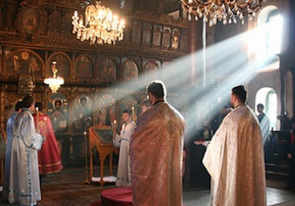 Perhaps more important even than the first, the power of erecting seminaries and religious communities to train priests and religious irrevocably attached to the traditional liturgy. The implication of this is devastating for those who try to minimise the meaning of Ecclesia Dei. For whom are seminaries and religious communities chiefly founded? They are founded for future priests, religious, and lay apostles. And from whence are those future vocations mainly recruited? From among the young. That is from among people most of whom have not yet experienced the traditional Roman Rite, let alone formed “rightful” aspirations for ways of life shaped by the traditional liturgy and religious disciplines. In short, Ecclesia Dei was intended for “all” who wish to take advantage of it; and, moreover, it was intended unconditionally. There is not a word in these documents to suggest that the benefits of Ecclesia Dei are conditional upon one being an ex-Lefebvrist, of a certain age, or possessed of a certain archaic religious formation. Needless to say, the documents we have been discussing, with their constant reference to the traditional Roman Rite – “the Roman Missal according to the 1962 edition” – have nothing at all to do with promoting the use of Latin in the new liturgy. A quaint hermeneutical fiction. As it happens, Oriens can now report what amounts to an official interpretation of the documents from the Ecclesia Dei Commission itself. Recently, letters have been received in Australia from the Commission in response to requests for clarification of how the concept of “rightful aspiration” is to be understood. The Motu Proprio “Ecclesia Dei” recognises that in itself the desire to celebrate and participate in the traditional liturgy of the Catholic Church as embodied in the liturgical books in force in 1962 represents a legitimate desire on the part of the faithful. The Motu Proprio does not speak of any restrictions, including age limits, on those who aspire to worship according to the liturgical books of 1962. Neither does it state that only those who had previous experience of the Latin liturgical tradition could have such an aspiration. It could not be simpler. The mere unconditional fact of having an aspiration “in itself” entitles anyone to benefit from the Ecclesia Dei decree.So, next time you are in your local diocesan chancery, petition in hand, have no fear. The facts are with you.